In this article, I will show you how you can load an Office 365 add-in from a network share for testing or live deployment. If you are a developer who builds add-ins for Office 365, then you need to test those before deployment; and if you are developing for enterprise users then they need to access your add-ins after rollout. A network share (sharing your add-in from a network drive) is the easiest possible way for both of that. Read this interesting article where I show how to test and deploy Office 365 add-ins from a network share. If you have already created an Office 365 add-in, then you can skip this “Getting Started” section and jump directly to the next “Publish, Test & Deploy” section. 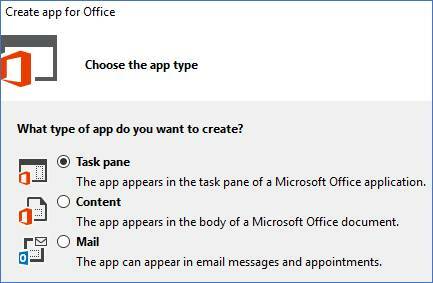 Create an Office 365 add-in using tools I have mentioned in prerequisites. Read the below section for how to do that. Refer to my earlier article Office 365 Development with Visual Studio 2017 and it’s part-2. 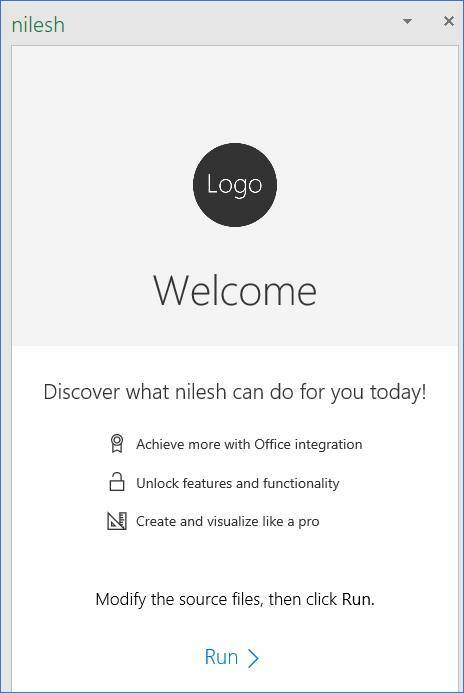 Open VS 2015 then click “New Project” and select “App for Office” under “Office/SharePoint” templates. Give proper project name and click “Ok” button in the above dialog. 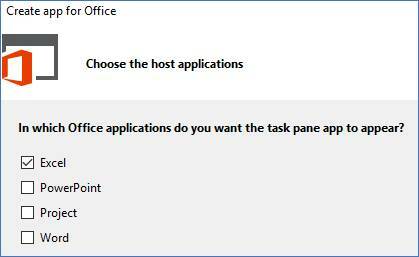 Select “Task pane” from the next dialog. 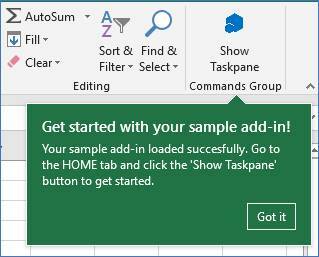 Click "Next" and select Excel from the next popup. Click “Finish” and you are done! Follow the instructions on Office Developer GitHub page here. You can publish your Office 365 add-in web project on either IIS Server or on Azure. For deploying web app on Azure, read another author’s article here. For deploying web app on IIS Server, follow instructions here. Or you can simply test it by pressing F5 from Visual Studio and let it run until you finish testing. For showing you further instructions in this article, I have deployed my add-in web project on Azure. All you need now is the URL on which your add-in web project is deployed. You need to configure it in the add-in manifest XML file. Go to the Solution Explorer in VS 2017 and open the file location of the manifest file. All you need is a copy of this manifest.xml file. Copy it and paste it on any network share available for testing. I have shared it under “ExcelWebAddIn2Manifest” network share for my testing. Open the manifest XML file in VS 2017 or any XML editor or simply in notepad, find “SourceLocation”. You need to change the “DefaultValue” to the URL on which you deployed your add-in web app. That’s the only change you need to make. Now let’s add this manifest file in Excel to see our add-in working. Click Ok and close all dialogs, then close Excel and start it again. Create a new workbook. Select the add-in and click add button. Congratulations! Your Office 365 add-in is now ready to use. You can use the above steps for testing your add-in or while deploying in live environment too. That’s it for this article. Happy learning! You can read more of my articles on Office 365 development here.